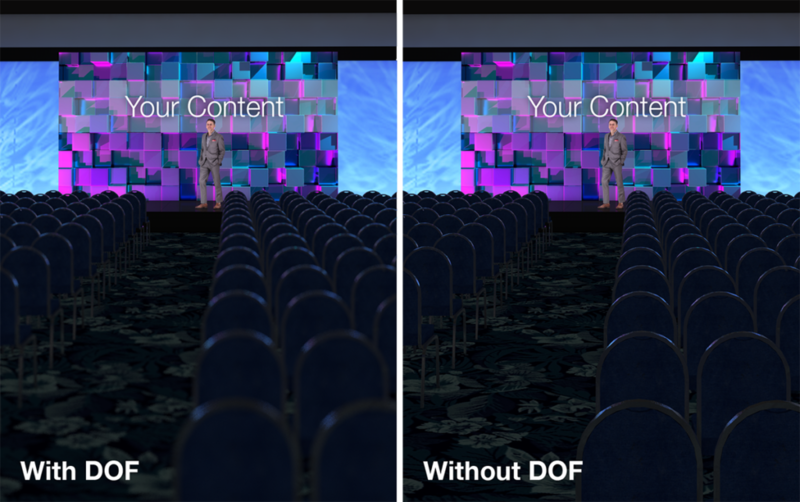 We all want to ‘wow’ clients with jaw-dropping renderings, yet we can’t find the time to learn how. Luckily, improving realism doesn’t require a huge time investment. Instead, it’s a matter of knowing which settings to enable or disable. Seriously! A few strategic clicks can make a world of difference. For more info direct from Vectorworks, see their online pdf titled “Rendering in Vectorworks”. 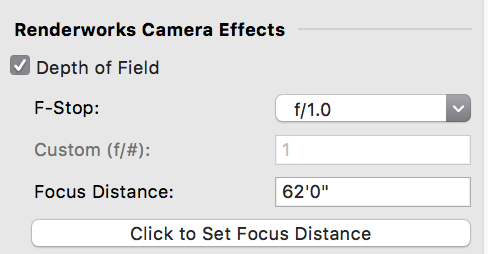 Add a blur effect by enabling ‘Depth of Field’ on your camera object. Set F-Stop to f/1.0, or as desired. 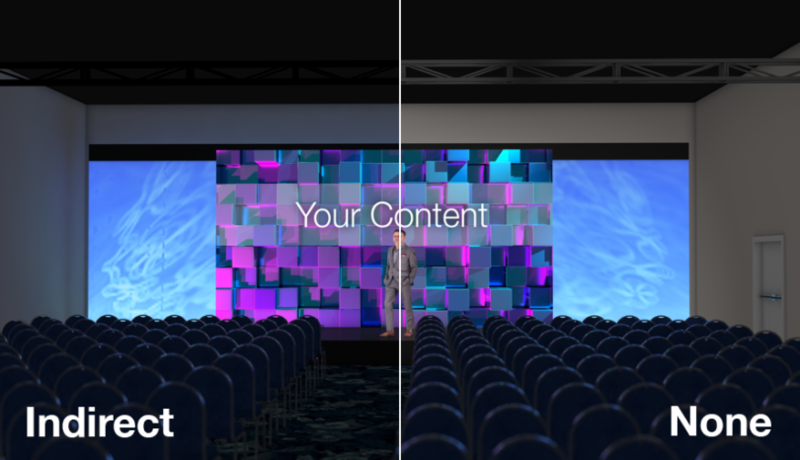 Figure out how far from the camera center stage is; This is your Focus Distance. 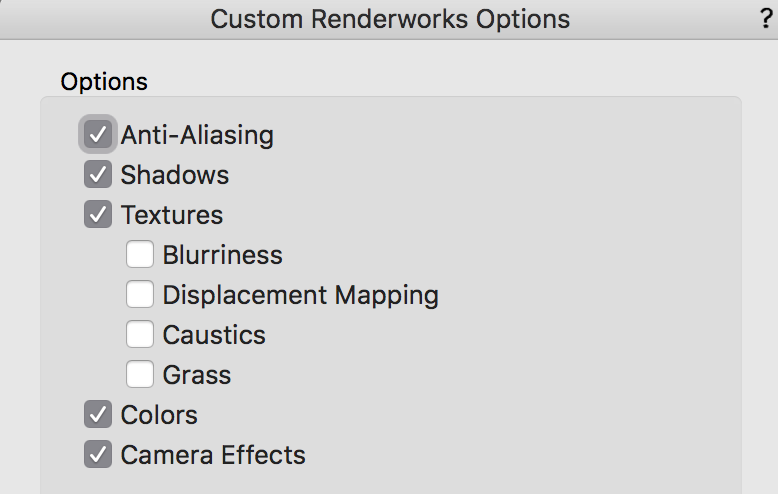 Be sure to also enable ‘Camera Effects’ in ‘Custom Renderworks Options’ via the camera viewport. A low res export won’t do you any favors. Ensure you have specified the desired resolution in all three necessary locations before exporting. The first is the resolution of the camera itself in the design layer. Change the default 72 dpi to at least 300. Second, set the sheet layer resolution to 300. Light objects should be set to cast Soft Shadows with Realistic Distance Falloff. 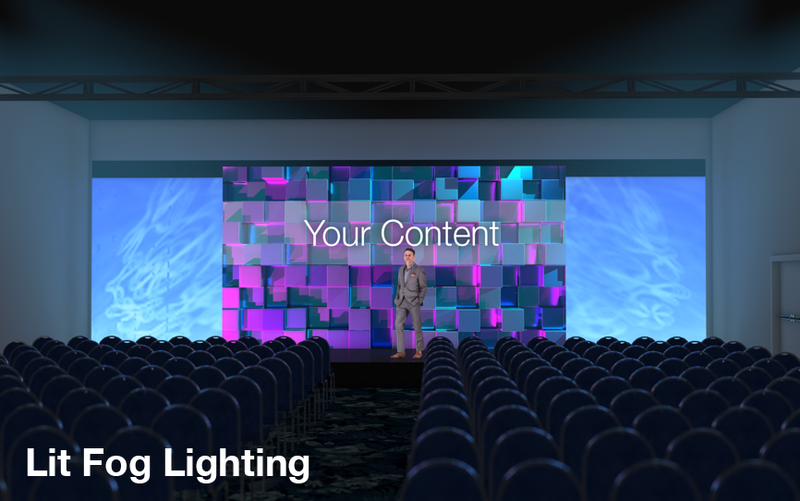 Lighting spilling onto the venue walls, particularly the upstage venue wall, can be distracting and ugly. 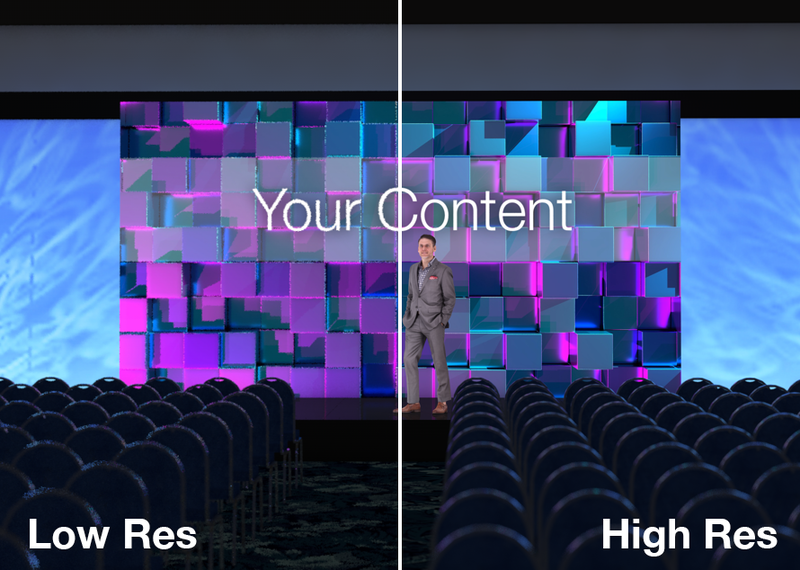 Create a custom Renderworks texture for the venue walls in your scene. Then click into ‘Indirect Lighting Texture Options’ in the Edit Texture window. 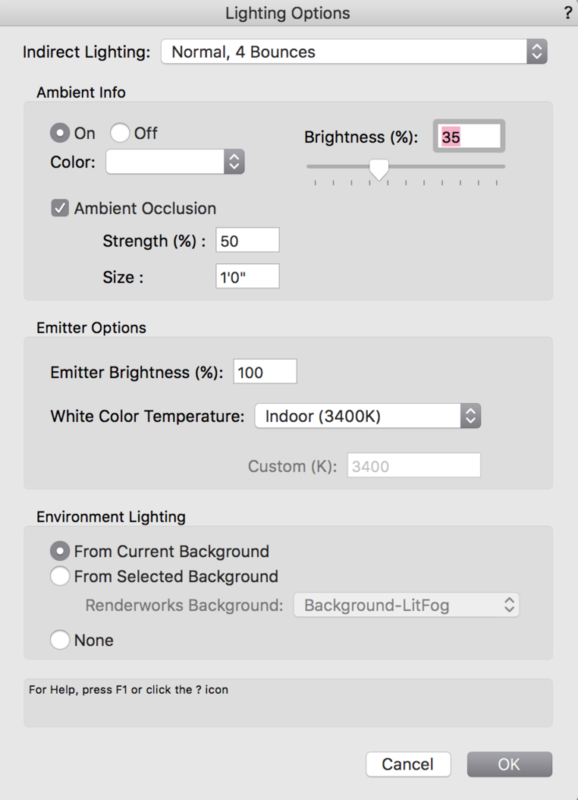 Enable ‘Override Indirect Lighting’ and disable both Emit and Receive light. I admit I don’t fully understand how this works, and it’s not a dramatic change, but it certainly helps! 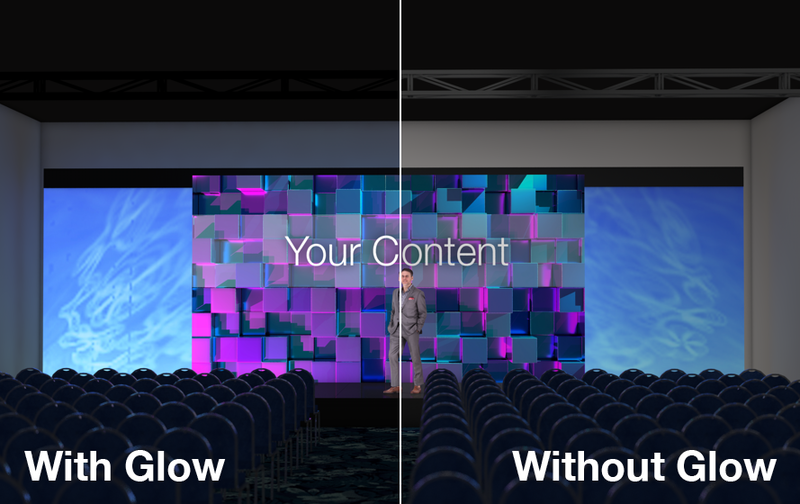 Using the Resource Browser, create a Renderworks Texture with Reflectivity set to ‘Glow’. The default 100% glow should do the trick! Apply this texture to screen objects as usual. The effect works best with Indirect Lighting. Create a lit fog background to help better visualize the glow lighting bouncing around the scene (See setting 8 below). Nothing ruins the realism like a low-poly person on stage. There are plenty of high quality ready-posed characters available to download for free. You may have luck finding a gem in Sketchup’s 3D Warehouse or all3dfree.net. You may choose to invest in a beautiful model from AXYZ. 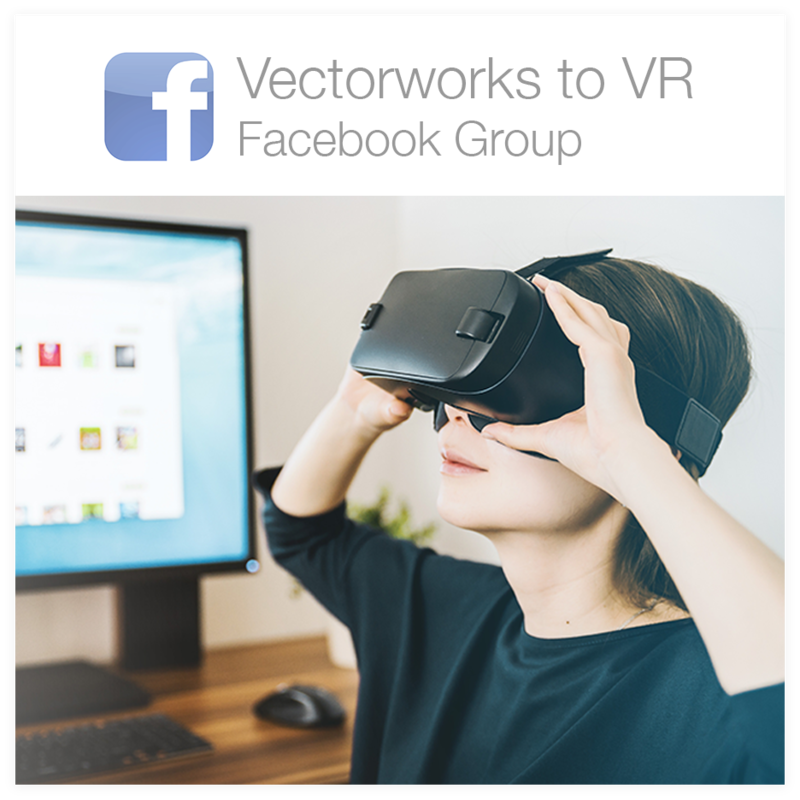 They offer several Vectorworks compatible formats including sketchup, 3ds, & obj. Be sure to turn on Ambient Occlusion (AO) in the Lighting settings in your viewport. This will fake some more depth and shadow to all the objects in your scene. If time allows, add as much detail as possible to the venue. The Vectorworks Door tool makes it easy to pump up the realism by adding hardware, jamb, threshold, kick plate and trim. And, if you use the Door tool in conjunction with the Wall tool you’ve got it made in the shade! To achieve a hazy lighting effect, create a ‘Renderworks Background’ via the Resource Browser. Enable Lit Fog on the Background. 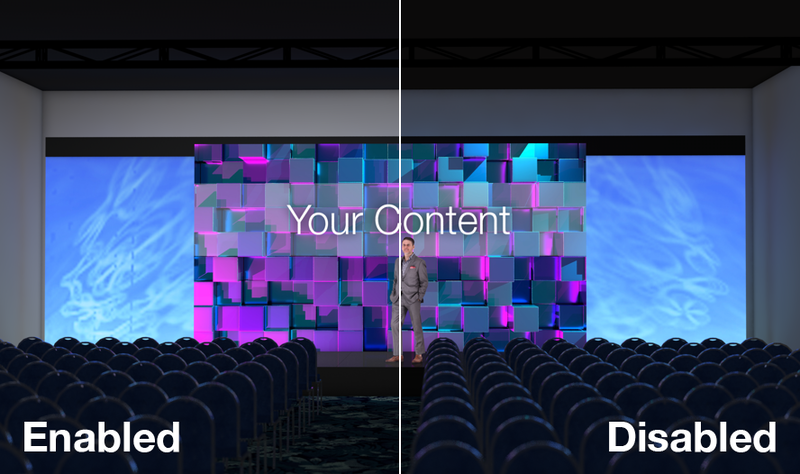 You can set the Background to ‘One-Color’> Black if you haven’t modeled your Venue in 3D. 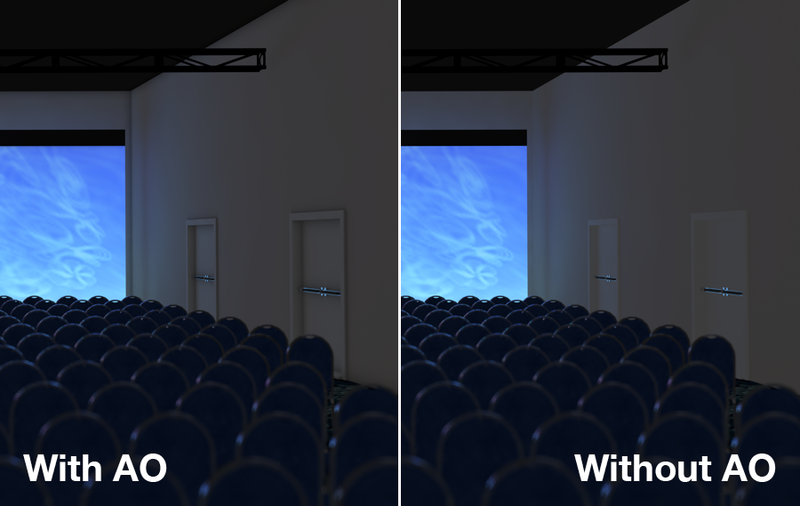 Try using a combination of lights with and without lit fog enabled, otherwise too much of the fog washes out the rendering itself. 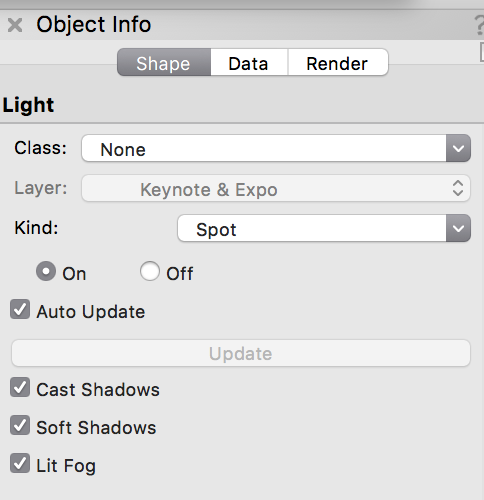 Then be sure to enable Lit Fog on the Light object itself. Lastly, set your camera viewport to render your Lit Fog background. I hope this information will make your workload lighter and more enjoyable. One of the goals of ScenicMentor.com is to help designers learn faster, giving them more time to create and more easily share their ideas with the world!